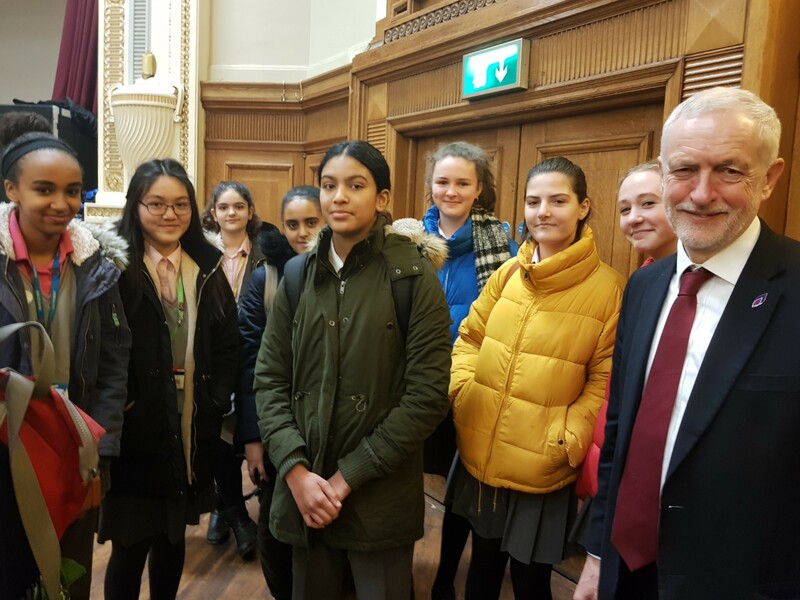 On Monday 28 January, nine RE students from Year 8 and Year 9 attended The Holocaust Memorial Event in Islington Assembly Hall. The daughter of a survivor of the Holocaust spoke about her father's experience of the Nazi occupation of Poland. They learnt that he was a school child when he was sent to a concentration camp. Despite all that he endured, he refused to live with hate and chose to live a life of love and forgiveness.The girls pledged: "To stand up against any social injustice and be more open to dialogues around racism and discrimination". Jeremy Corbyn and Emily Thornberry were also present at the event.